When it comes to interacting with customers on social media, there’s a lot more to worry about than just an inbox. 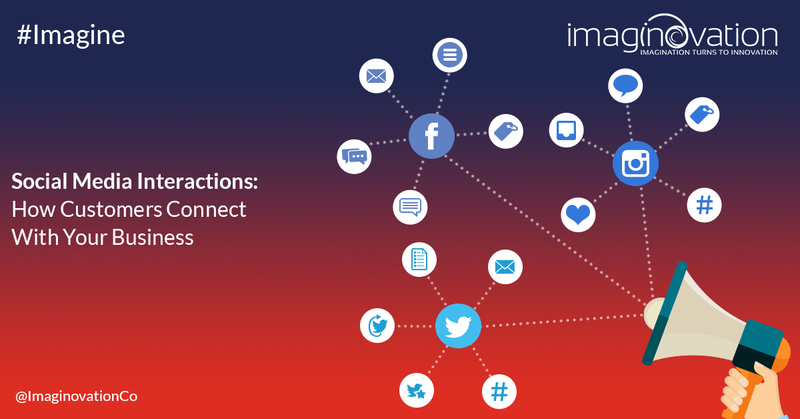 In this post, we’ll explore the many avenues of communication on popular social media sites. It’s worth taking some time to get familiar with the various ways that your customers can reach out to you on social media. After all, the reason that you’re participating in social media in the first place is to facilitate easier customer interaction and further reach into your market. Missing out on opportunities to interact means missing out on potential profits. Anytime someone mentions you in a tweet, tags you in a post, retweets your content, posts on your page, comments on your post, or favorites a tweet of yours, it represents their reaching out to your business. Think about it, someone has taken the time out of their day, away from every other available activity that they could be participating in to look over your content and to seek a connection with you. That connection is the value in social media. It’s powerful and it’s important for you to respond in some way. Twitter is a straightforward, simple platform. The problem that most businesses run into is that the volume can be a bit overwhelming, which can lead them to lose out on interactions. There are five ways that Twitter users can connect with you. These are delivered straight to your Twitter inbox and are not visible to the public. When someone uses your Twitter handle (ex. @ImaginovationCo) in a tweet, that’s a form of interaction. In fact it’s a primary form of interaction on Twitter. They could be asking a question, giving a commentary, or simply tagging you. Retweets include your Twitter handle and are copies of your tweet. They’re essentially passing it along to their followers. This kind of interaction can be undervalued by businesses, but it’s worth reaching out to anyone who retweets your content. Favoriting is the most passive form of interaction on Twitter, but it is still a way that customers are connecting to your business. This is the only type of social interaction on Twitter that doesn’t require your response. You, however can use favoriting to reach out to your customers when they retweet, hashtag or mention your business. You can use custom hashtags to create another way for customers to interact with you, this time on specific topics. You’ll then be able to search for and follow those hashtags in order to gauge interest and engage with customers. Facebook has by far the most latitude in interaction of the major social media networks. Learn to be vigilant in finding out how people are interacting with your page and to respond appropriately. The most direct way that customers can interact with your business is through direct messaging. Your response time to direct messages to your page is important as it’s highlighted on the front of your business profile. While it’s not necessary for you to respond to every single comment on every single post, you should keep an eye out for questions and concerns and address those when needed. Keep in mind that these interactions are public and that people are watching. You can lock and unlock the ability of others to post on your wall. This kind of interaction can be a little hard to keep track of as it’s relegated to the edge of the page. You’ll get a notification that someone has tagged your page, and these interactions can be incredibly valuable. If your page has been tagged, you’ll likely find that it’s appropriate to respond, either thanking an individual for positive feedback or addressing negative feedback. Reviews are perhaps the most powerful way that users interact with your business on Facebook. Positive reviews are worth their weight in gold, while negative reviews can really damage your standing with potential customers. You have the ability to reply to reviews, so be sure to thank customers for positive reviews and to address the problems that are brought up in negative ones. Instagram is increasingly being used by businesses in order to promote their interactions and increase their reach. Much of the interaction here is borrowed from Twitter and Facebook. Users can tag your account name in posts or they can tag you in images. This is direct messaging just as in Twitter and on Facebook. Responding to direct messages is obviously important for businesses. These work just like the do on Facebook, and it’s important to check on comments regularly to make sure that you’re not missing out on anything that needs to be addressed. This one is borrowed directly from Twitter. Hashtags here work in precisely the same way. Create your own hashtags to promote and facilitate interactions with your business. Businesses have some great options when it comes to managing their social media interactions. These platforms allow you to monitor and update a wide range of social media sites quickly and easily. The largest social media management site on the web, Hootsuite allows you to monitor numerous social media accounts from a single dashboard. Fully integrated with tracking and management tools, Hootsuite is at the top for a reason. Respond is essentially a single inbox for your Twitter account. Using Respond, you view and respond to mentions and direct messages. You can also add a search for the name of your company, so you can stay on top of mentions that aren’t tagged. SproutSocial allows you to manage your customer interactions and guides you in crafting a comprehensive message for customers while maintaining a consistent level of interaction across your media. The advantage of these many levels of interaction is that they offer customers a rich experience and an ease with which to be able to reach out to your business. Though keeping up with these many forms of interaction might seem daunting and bothersome, the effort is well worth the payoff in customer growth and retention.